This is an unusual one. 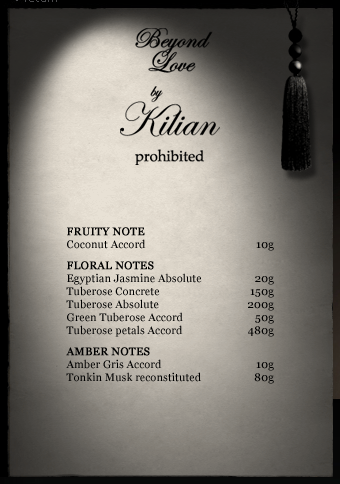 For a Kilian. It is less complex than what I associate with this perfume house and lacks some of that darksidedness. 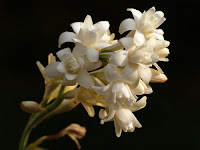 If I didn’t know this was a Kilian I wouldn’t have guessed… But then let’s be frank, I am not a tuberose type of girl. I generally don’t like florals (there are always exceptions and one should embrace the exceptions in life), they make me feel a bit uncomfortable. I could try to explain why but I won’t, it is a matter of compatibility. So, this is just very obviously not a fragrance for me. I find it very very pretty, but uninteresting. It is like absolutely nothing in me or on my skin reacts with this formula. Does this mean I think it is a bad perfume? Absolutely not. This is not a review, I don’t believe in perfume reviews. I am also sure there are many people who feel completely lifted and enchanted with this fragrance. If you like florals and are not into heavy scents, then this is a very elegant undemanding option.